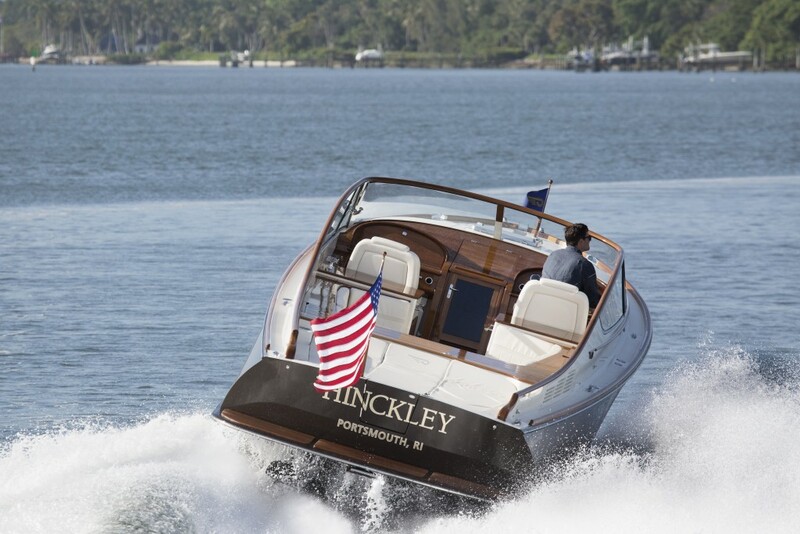 Last fall, Hinckley promised to introduce a riveting yacht that would herald a new golden age of Hinckley runabouts. 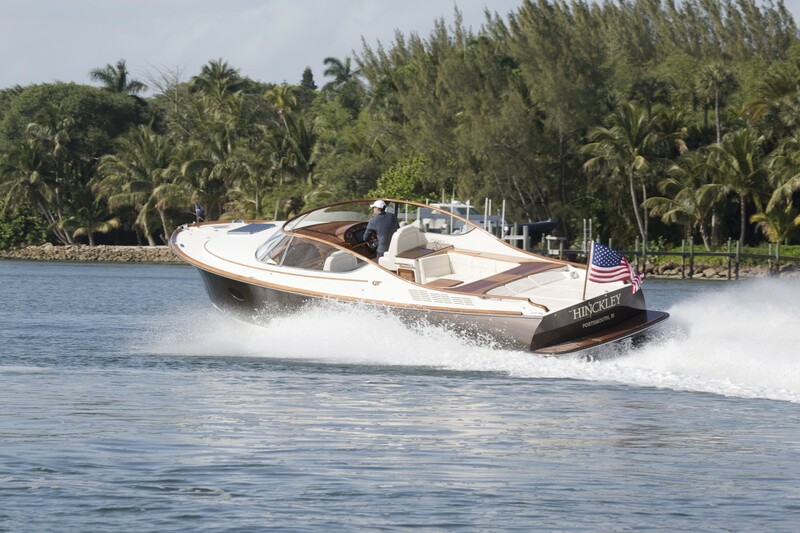 The sculpted lines of the Talaria 34 Runabout made their debut this spring in Palm Beach in a stunning metallic bronze set off by signature teak and stainless accents and nary a boater would accuse the company of overpromising. 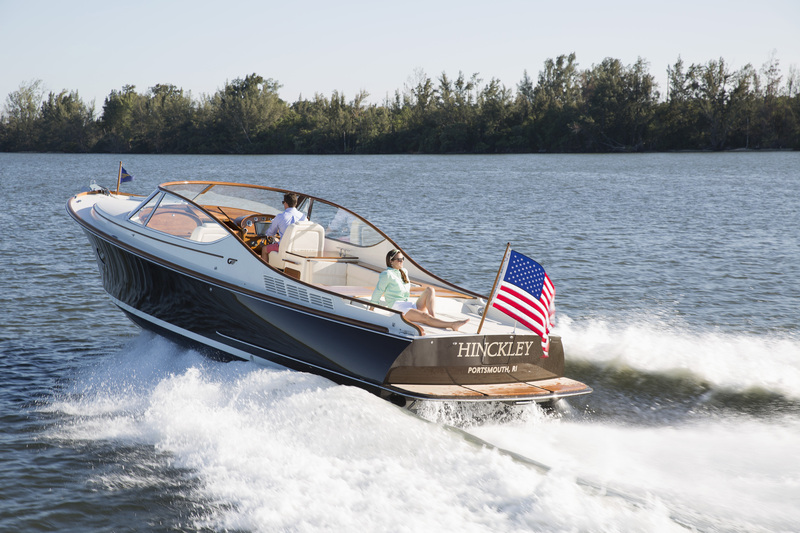 Should you have enough of the sun or the admiring looks, Hinckley has you covered: press a button to raise the power bimini roof into place to shade the cockpit fully. 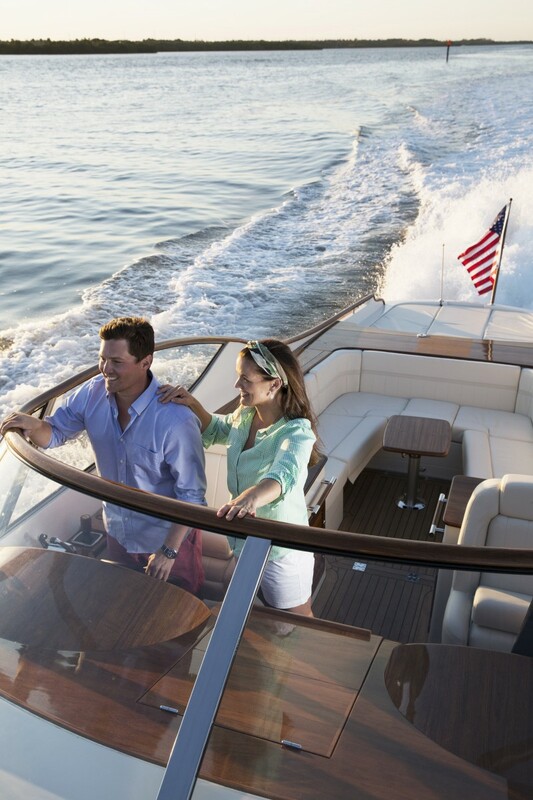 Venture through the companionway on the 34R to stash belongings, take a rest room break, or shower and change into dry clothes after a day of salty fun. 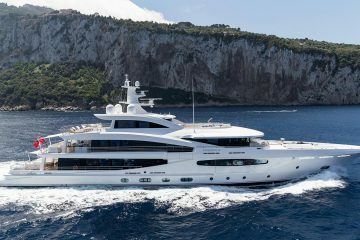 The interior offers headroom that’s surprising for a boat of this profile, and there is enough space and seating to escape a summer storm. 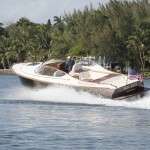 To finish the classic runabout, there is a long sunpad for two astern. 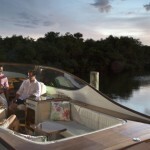 A transom boarding door and walkway on centerline make for boarding convenience from the swim platform. 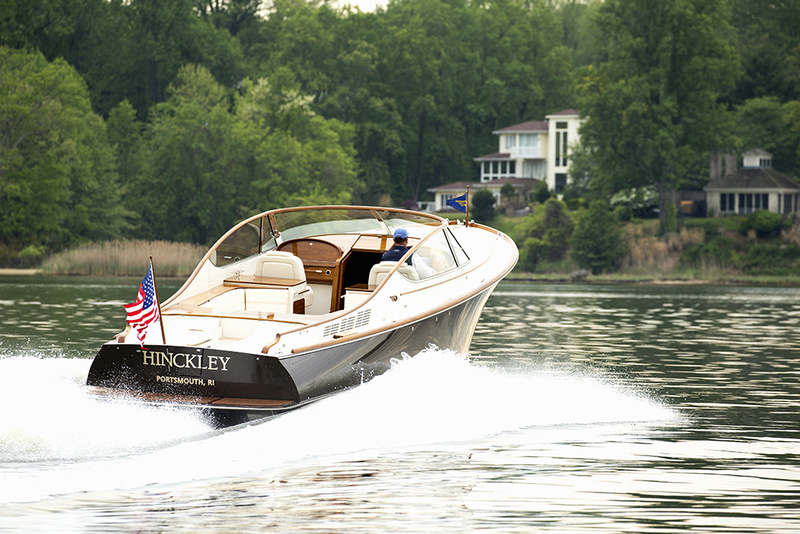 Like every boat in the Hinckley family, attention to detail does not stop at the jaw-dropping design. 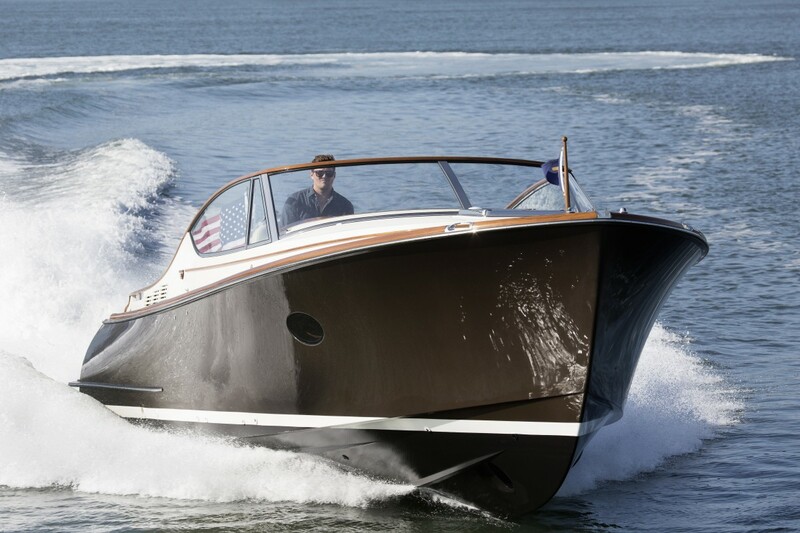 The Talaria 34R is a true performance yacht with great handling characteristics and excellent seakeeping ability, thanks to a modern underbody configuration by Michael Peters. 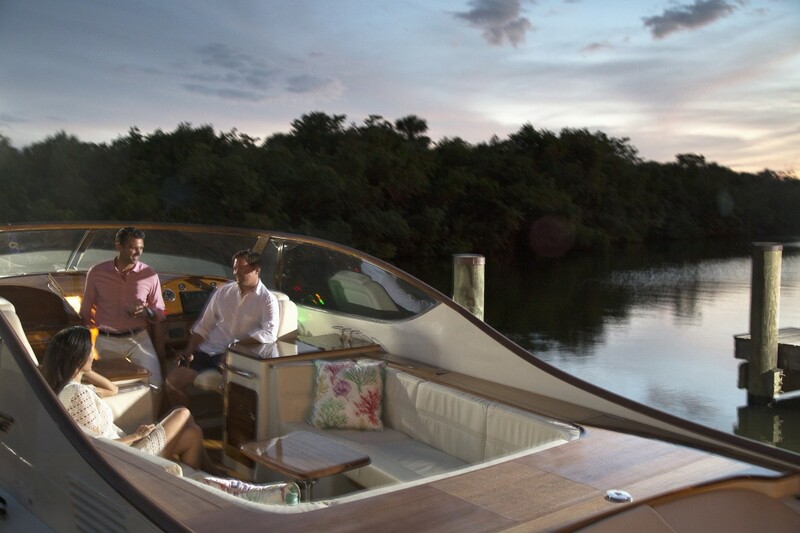 The ride is dry and jet propulsion keeps operations smooth with dialed down decibel levels despite plentiful power from twin Yanmar 320s. 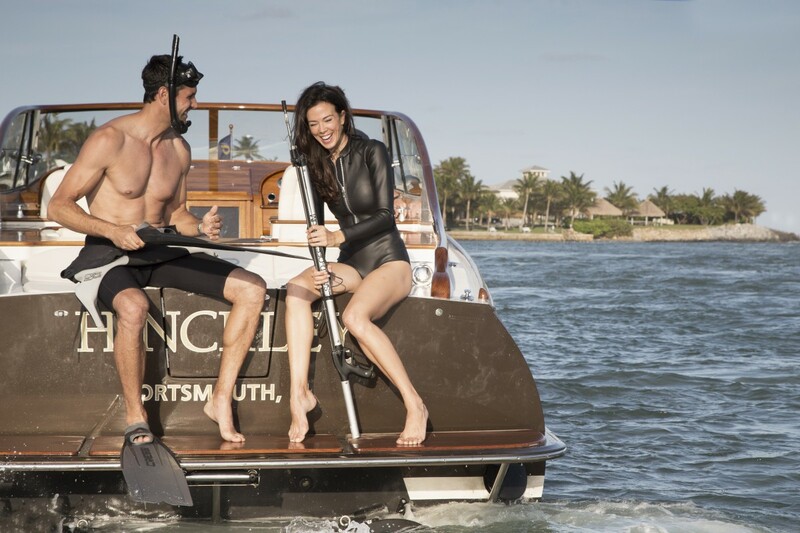 At wide open throttle expect 34 exhilarating knots with proportional Jetstick II control that lets you handle this yacht with ease and confidence. 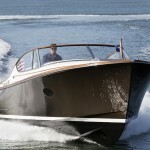 Optional power delivers up to 37 knots. 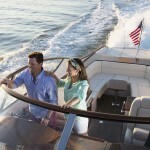 For the ultimate convenience, all the boat’s accessories are controlled via touchpad. 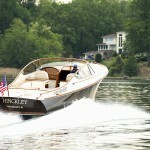 The 34 Runabout package is further enhanced by Hinckley’s commitment to owner experience. 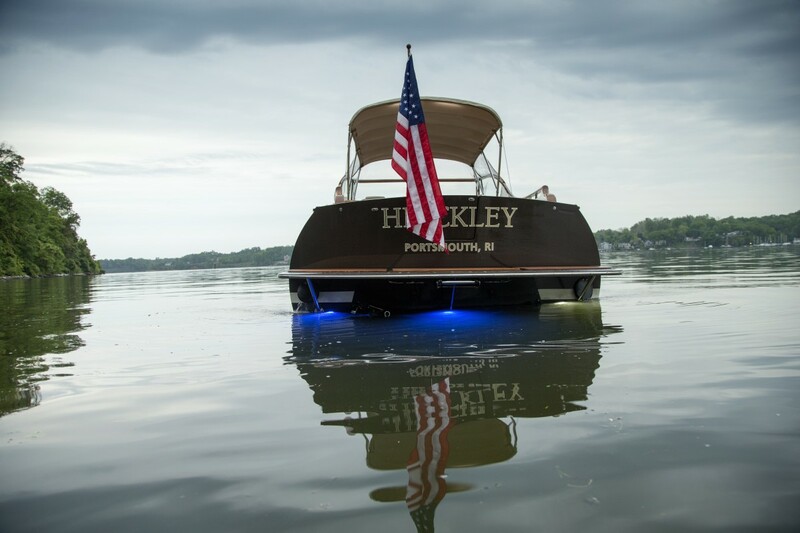 This boat comes with training, 24/7 support, Hinckley’s seven service yards and the company’s newest service, Hinckley OnWatch. 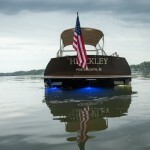 OnWatch allows owner and Hinckley service personnel to monitor the boat’s mission-critical functions remotely. 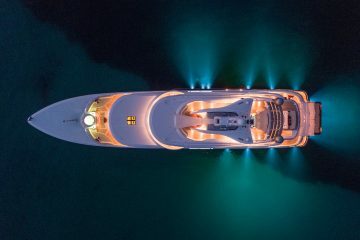 Using a smart phone app the owner of a new 34 Runabout can be fully informed about battery life, bilge level, fuel quality, engine vitals, GPS location and more.